One of the most important days of the year- Father's Day is here. This year, as a part of Jabong.com's Father's Day contest, I decided to dedicate a post designing my father's Formal and Casual look. Fathers along with mothers are the best gift that God ever provides us with. And that's not all because our fathers have lots more to give us throughout his life. The gift of caring that fathers express when they help put food on the table, teach their child to ride a bike, cheer at a soccer game, smile at a graduation, give their daughter’s hand in marriage, giggle with a grandchild, and most importantly, act as a channel for God’s love to flow through them into the lives of their children is priceless. When I was two my father was transferred to Calcutta. Our building was surrounded by a number of bungalows belonging to Ango-Indians. It was from them that I got to know about Father's Day when I was 4. And it was that very year when I gifted my dad a hand-made card with a packet of chewing gum because he was really fond of chewing gums. The happiness on his face was incredible and something that I will cherish forever! He lifted the little girl in the air and planted two kisses on both cheeks....I guess he still has that card with him. There are of course, a number of other sweet, treasured memories that we all share with our fathers, for now let's conclude this here. Check out the two looks that I've compiled, and mind you, our fathers are never too old for these outfits coz they can still look as dapper as ever! This Father’s Day let’s remember the gentleman who cared less for his looks and style to raise his children. 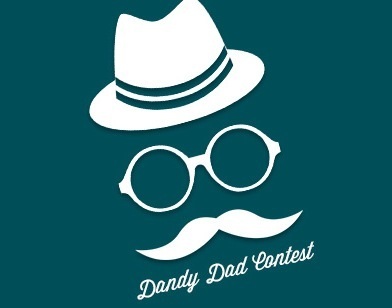 Let’s cheer to #dandydad!